Lakewood is a sneaky tough track with the ruts that harden up later in the motos and it gets plenty rough, what do you think of the track? The track is always challenging in Lakewood. They dig it deep and water it well. The prep is always very good but with the nature of the soil it gets very rutted and bumpy. I’ve seen the track deeper in past years. It looked faster with a harder base this year. It’s a very tough track for bike set-up. First because of the lack of power due to the high elevation. Everyone has to start in first gear there so teams have to compensate with leaner fuel curves and more compression. It’s a difficult place to find a good setup in suspensions too just like any track that is very fast and gets rough. Those big long ruts get very bumpy and we saw bikes moving/jumping around quite a bit. Overall, I think it’s one of the best tracks but it could be challenging to pass with the ruts because it’s tough to not follow. We’ve seen some cool passes though. Roczen’s pass on Barcia (I think it was Justin) at the braking point from the outside of the long downhill sweeper was pretty rad. It’s also tough physically with the altitude and the fact you always have to be very focused to follow all the ruts. The mind and concentration never stops on that track, you can get cross rutted so easily. The rougher it gets, the more you have to play with it and use your creativity/technique. We saw Tomac use the first long downhill of the track (where Savatgy blew his engine) as a rhythm section rather than a downhill. He used the bumps to jump over others and that seemed cool and efficient. 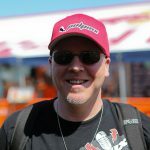 Ok, WHEN is it ok to start thinking about a perfect season for Tomac? What did you think of his motos yesterday? He’s “only” a quarter way there. The next 2 rounds, on paper, aren’t the best tracks for his riding style. Eli needs space on a track to express himself. High Point and Tennessee are more like Lakewood where he has been struggling a bit in the past. Historically, he’s better on a Red Bud or Millville type of tracks. But, he just won in Lakewood in great fashion. 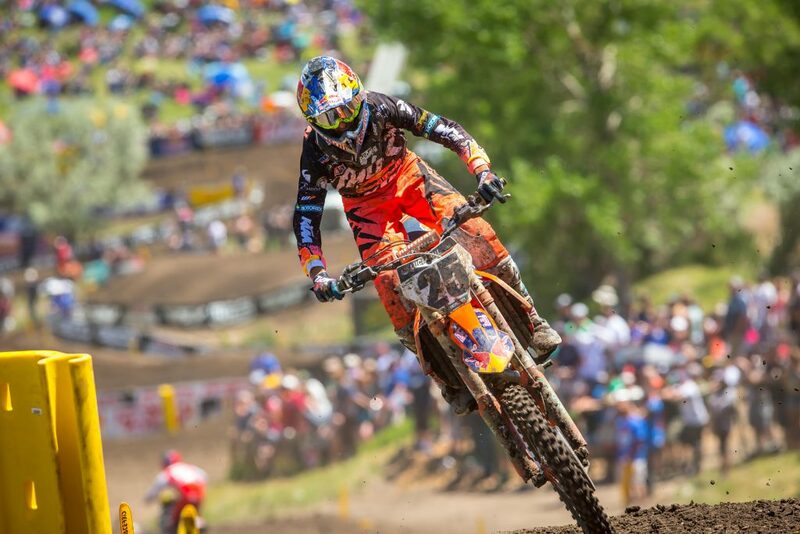 I was surprised the way he rode in Hangtown this year. He rode with a lot of patience. He looked less radical than previous year but he gained in control and consistency. Same thing in Lakewood. I thought he was really patient, smooth and his strategy against Roczen was great in both motos. He knows Kenny isn’t ready yet to go two times at 35 minutes balls out. He was patient and rode smooth for most of the motos and attacked towards the end of the race. The strategy was superb when your direct opponent is still in convalescence and not at 100%. We saw it in moto 1. When he passed Ken, he clocked a lap time 3 seconds faster than the German. I really like this Eli who rides with maturity and patience. He improved a lot in those departments. Roczen is back! Well, maybe not all the way yet but he led laps, gave ET a bit of a race and appears to be ahead of schedule…your thoughts? I didn’t think that at Glen Helen and Lakewood he would’ve been that good after what we saw in Hangtown. What he’s doing is very impressive. The other impressive thing I see is the way he rides. He’s not 100% yet. I’m sure his arms aren’t fully there but he rides exactly the way he should coming back with that type of injuries. He’s really smooth. He doesn’t charge too hard in section when he would need more strength to be faster. Depending on the part of the track that he is on, his riding style changes. He goes for it where his arm doesn’t bother him and rides smooth and cautiously in others. He also knows where he’s at in terms of strength at the moment and doesn’t try to win at any cost. Coming back from those types of injuries, in my opinion, he’s riding perfectly. The weekend off will help him to get better, heal a little bit more and get some seat time. High Point fits his style well and I wouldn’t be surprised if he steals one moto there. Marvin Musquin has had good races at Lakewood before, at Glen Helen it’s understandable his race because of what you wrote last week, but Lakewood he should be better than what he was yes? I think he has to be a little bit disappointed about his 4-4 score. Starting the season with this field, with not knowing where Roczen was at and with his outdoor experience both in Europe and in the US, him and Tomac were huge favorites. So, a 4th overall should be a bit disappointing. I’ve talked a lot about Marvin riding way too much in his comfort zone. That was the case again in Colorado. 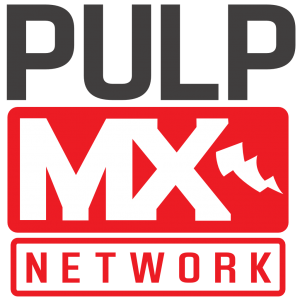 In MX or SX, it’s difficult to win races and championships without taking a minimum of risk. The other problem is that the more you ride in your comfort zone, the more it’s difficult to get out of it. I strongly believe Marvin could be up there with Eli and Ken in Lakewood. He has the technique, the creativity and the intelligence to find the best lines to be able to run up front. But, that’s not all you need to win races or to fight for a win with great riders like Tomac and Roczen (and Baggett this weekend who’s always fast there). I don’t care how good or who you are but it’s almost impossible to beat those guys riding with a margin of safety too big. I think Marvin has everything he needs to win races and championships in and outdoors but he won’t be able to do so if he keep racing at 80% of his abilities. 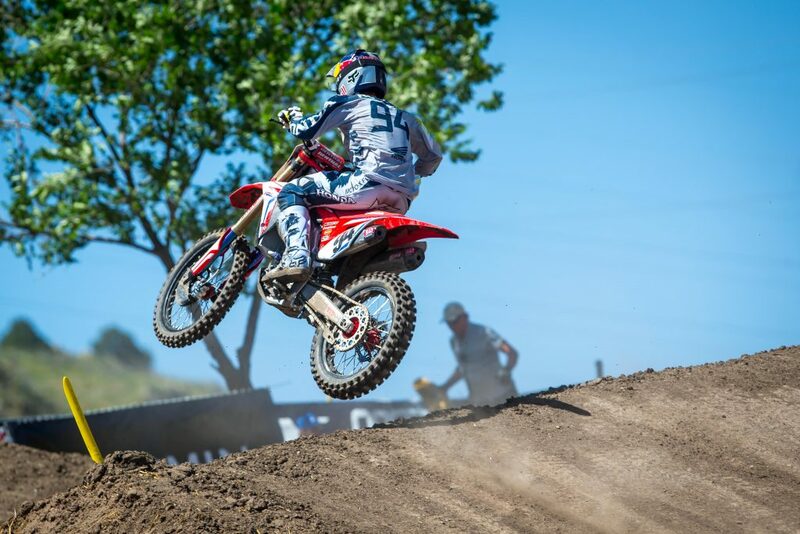 Jeremy Martin’s got the red plate…do you see him surrendering it at all? The 250 class is way different than the 450s. The class is very homogeneous. We got 3 different winners in that many races. A lot always happens in this class. We only have 1 winner in 3 races in the 450 class. Jeremy has been fast and consistent so far this season. On paper he had to be the 2nd favorite to win the title before the season after Osborne, so it’s not surprising to see him with the red plate after 3 rounds. Not to mention that he’s been there before. The kid is a 2-time National champion after all. It’s gonna be a fight in this class to be consistent and score big at every race. There’s a lot of riders who can win races and interpose themselves between title contenders so the points swings could get pretty big. In the 450 class, we pretty had the same result in both motos, the hierarchy is there in that class. It’s the opposite in the 250 class. He has the speed, fitness, experience, equipment to keep the red place all year but it won’t be easy anytime soon. How was his race there, pushing his brother in moto two and working up in moto one. He might not be the most technical rider of the field but he knows how to win and always tries hard. The battle with his brother was great. I’m sure there’s a championship in the championship when it comes to the Martin brothers. I’m sure those two have an extra motivation to be the first Martin on the results sheets. They were so close a few times it scared me a little. They both wanted to finish in front of the other and raced each other like they weren’t related. He passed Osborne in the first moto. They had to be a good confidence booster to pass the champ and red plate holder. He won the race so it’s delicate for me to say anything negative but I still think he can improve his riding to be even faster. I don’t think he’s at the level he was when he won two titles on the Yamaha. He has it in him and I’m sure he’ll get there eventually. 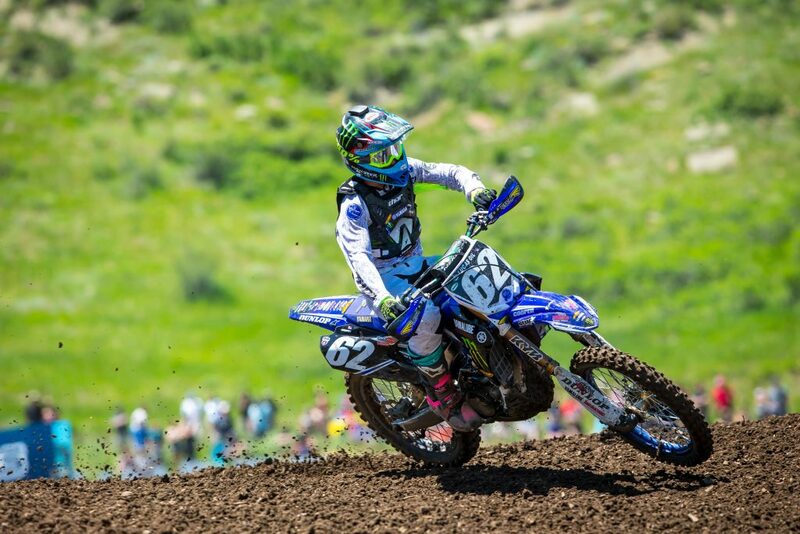 What do you see in Justin Cooper so far…strengths and weaknesses? The kid is not scared to start in front and battle with the veterans of the class. I thought his first moto was very good. He looked solid and fast early. The favorites of the championship had nothing for him for a while in moto one. He has good speed and it feels like he tries to go as fast as he can. His corner speed is good for a young kid. He charges, which you have to do on a 250 to go fast. I also like the fact he doesn’t save energy or ride safe. He tries to do the best he can and he might need a bit more of fitness or be a bit less tight but it’s understandable for a young kid who’s pretty much a rookie. I actually don’t mind seeing him lose a bit of time, maybe due to fitness, at the end of the first moto and his second one. It’s very important to give 100% the most you can because it’s easier to figure what to improve on. If he rides to finish both motos to get the best results possible, it’s ok to hit the wall in moto 2. It’s more interesting than riding to finish the motos. This way, you can go back home and work on your weaknesses. Some people aren’t happy with Joey Savatgy in the moto two start, what do you think about his move? If he was 10 feet farther in the first turn, nothing would’ve happened and we would have said that was one of the sickest starts in the history of the sport. He would talk right now how badass it was if it worked. But, he wasn’t 10 feet father in the first turn. 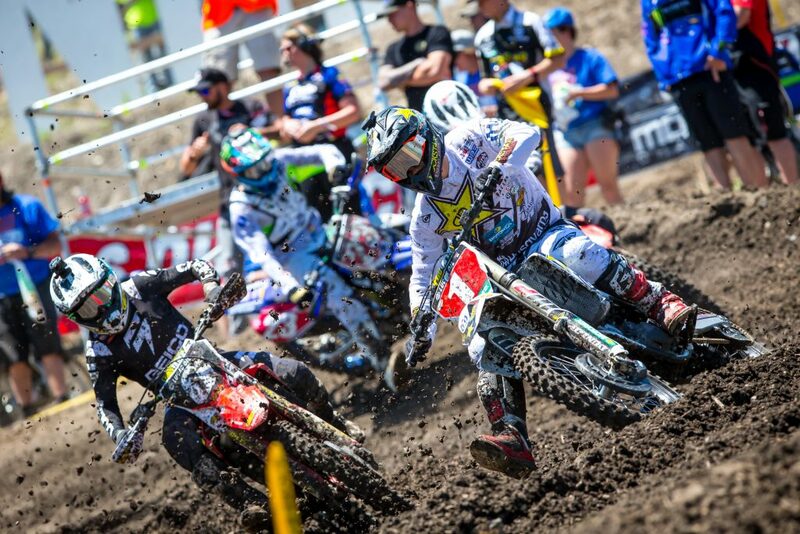 Joey had to have a bad gate pick for the second moto because he blew an engine in moto 1. What he did on the start, other than causing the pile up, was the way you should start with the 34th gate pick. When you come from way outside like he did, you have to turn your head to the right to see where the guys are at. It doesn’t appear like he did. Having tunnel vision when you try to get the holeshot from way outside in SX or MX, you have to have a quick look to see what’s going on with the riders coming hot from the inside. The pile-up could’ve been avoided those. I hope Zach didn’t get too hurt in the process. How’s Dylan Ferrandis doing coming back from serious injury and how’s his progress? 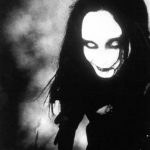 How do you see him doing once back into it? Dylan is doing good. He started riding 2 weeks ago. We never really stopped working after his injury. He was back at the gym 2 weeks after his surgery. He can ride now but he’s been in the gym, on a bicycle or running for a while now. His broken arm in Atlanta is just a bad souvenir now and doesn’t bother him at all anymore. We’ve been testing some suspension last week. We found a base setup and now we started focusing more on the riding part, speed, technique and motos. As far as results when he comes back, I have no idea. I think he’s a better outdoor rider than a supercrosser. But he hasn’t raced MX since Budds Creek last year and hasn’t raced since Atlanta SX. It will take him a couples/few races to be close to 100%. I’m not too worried about the fitness, he’s been grinding for a while and having great stats on his Polar watch in all kind of exercises. I’m more worried about the riding part and the philosophy of riding he should use to improve. As of today, the comeback should be High Point but it’s not 100% yet. We’ll see how he feels after another week of riding/training. Did you help him with the renewed contract with Star Yamaha? Dylan has an agent, Jimmy Button, who takes care of this stuff. Dylan asked me for my opinion on a few subjects in his offer so I gave it to him in my straightforward fashion but I’m not an agent nor I want to be one. I babysit my kids, I don’t need and don’t want to babysit more kids. He’s happy where he’s at and the negotiations went fairly quickly. I would’ve approached the “silly Season” a little differently if it was me but it doesn’t matter. What matters is the rider not his has been coach/trainer. I’m just here to answer his questions if he wants my opinion. I don’t tell him what to do in that aspect, he’s big enough to know what he wants and where he wants to be. He’s staying with a good team with a bunch of cool people in it.